You spend a good deal of time in your vehicle: on the way to and from work, running errands, taking road trips/vacations, and just enjoying the open road. That’s why you want to drive and ride in cars and trucks that are comfortable and familiar. After-market modifications personalize vehicles and add unique characteristics that show aspects of who the driver really is. It’s important to realize, however, that any vehicle updates or add-ons will factor into the resale potential. Tires and rims are one of the first things people notice. Essential to the operation of a vehicle, they also add an aesthetic feel. While fads such as spinners and one-tone wheels come and go, most buyers are impressed with tires and rims that are clean and well-maintained. Another visual appeal is chrome accents. Manufacturers often include these accents to contribute to the overall design and ‘flow’ of the vehicle’s appearance. Adding elegant accents on air vents, shifters, dashboards and other areas gives a sophisticated visual, and sense of premium quality. For most buyers, safety and security are a top concern. While many auto manufacturers include at least a basic security system, installation of an advanced alarm or anti-theft system is something any vehicle owner can appreciate and value. Body kits deal with any collection of exterior modifications, such as paint jobs, spoilers, side skirts, and more. These modifications match the unique wants and needs of the current driver, and may not be desirable to the next vehicle owner. Take care when deciding whether to add a specialty muffler. While beneficial to a vehicle’s power and fuel economy, a side effect is often loud noise, which is off-putting to some buyers. The same is true for novelty lighting. This is when accents lights are added to the interior or exterior of the vehicle. Their function is purely aesthetic. Keep in mind, however, that beauty is in the eye of the beholder. Potential buyers may be concerned with the cost and labor involved in removing novelty lighting. Engine modifications, while not visible, can negatively affect resale. Though these updates also contribute to increased power and fuel efficiency, many buyers are wary of alterations to the original engine function. 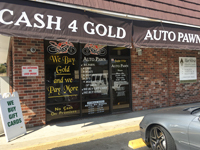 The fact is, there’s no hard and fast “good and bad” when it comes to vehicle modifications. However, they will always affect the value and resale potential. Added features can both attract and put off buyers. In general terms, modifications that improve performance can boost sales prices, while updates that are specific to individual drivers often narrows the potential buying market. Rather than spending hours researching and trying to decide which modifications help or hurt, consider bringing in your vehicle for a professional appraisal. 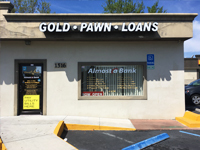 With three convenient locations in Volusia County, we’re close to where you are. 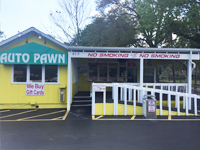 We pawn all types of vehicles, from cars and trucks to boats, RVs, and more. Contact us today to get started, or simply stop by one of our locations to speak with a friendly and knowledgeable staff member.